I know this is going to sound very sci-fi and “out there,” but believe it or not, your body is more microbial than it is human. The trillions of bacteria that live in and on you is called the microbiome, and most of those microbes live in your large intestine. And most are good for you. Research shows that a healthy and diverse microbiome can play a vital role in brain and gut health, body weight, the metabolism or breakdown of certain nutrients, and a well-working immune system. So here’s the 64 million dollar question: What are the diet and lifestyle habits that keep those good bugs boosted and the bad ones at bay? What can we all do every day to ensure that the population or community of good bacteria that live in our bodies thrives. The following 5 tips are surprisingly doable and easy to follow, and even though the first thing I think of the minute I wake up in the morning is my cup of coffee, these 5 steps fall right behind. 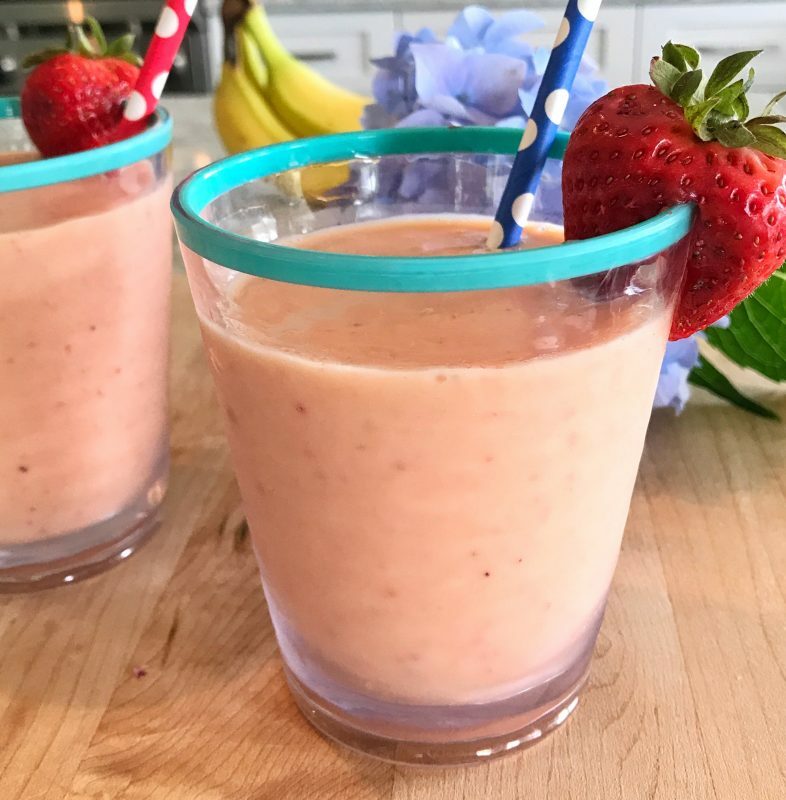 As a bonus, I created this Banana, Berry & Watermelon Smoothie recipe for all of you. It calls for yogurt (a probiotic) and banana (a prebiotic), providing a veritable one-two punch for gut health. Consume probiotic foods: Live probiotics (AKA good bacteria) can be found naturally in a variety of fermented foods including yogurt, kefir, kombucha (a fizzy fermented black or green tea), kimchi, miso, fresh sauerkraut, and tempeh, made from fermented soybeans. Sour pickles can also contain live active cultures; look for fresh, fermented pickles in the refrigerator section of your supermarket versus the ones pickled in vinegar or pasteurized. Greek yogurt is my favorite probiotic food (followed by kombucha), and I use it daily in smoothies, snack parfaits, and as a topping for my breakfast cereal. I even use yogurt to make frosting for cake. Consume prebiotic foods: Prebiotics are the foods that good bacteria love to eat. Prebiotic foods contain fiber, and they make their way through the digestive tract without being fully digested. 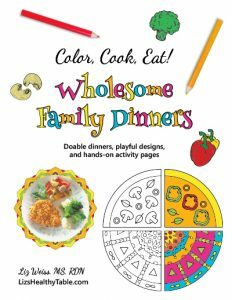 When they arrive in the large intestine, the prebiotics become dinner for the friendly bugs that reside there. Some familiar prebiotic foods that you may already include in your diet include leeks, garlic, onion, asparagus, and bananas. Some less familiar prebiotics are chicory root and Jerusalem artichoke (also known as, sunchoke). Either way, a a variety of fiber-rich foods — fruits, vegetables, whole grains, beans, nuts, seeds — should cover your bases. Most Americans consume just half the recommended amount of fiber, so eat fiber-filled foods to your hearts content. Nix heavily processed junk foods: This tip makes a lot of sense when you think about the types of foods your friendly bacteria love to eat: fruits, vegetables, whole grains, nuts, seeds, and pulses. If your diet is chockfull of heavily processed foods devoid of fiber and filled with fried, sugary, refined foods, then what’s left for your microbes? Not much. While eating probiotic foods and playing in dirt the help to bring good bacteria into your system, they still need to be nurtured once they’re there. So stock your fridge, freezer, and pantry with fiber-rich foods instead of heavily processed ones. Gardening with my sister in law. Grow a garden or play outside: Our bodies are filled with microscopic organisms and so is the soil. Like us, plants need bacteria to break down nutrients, fight invasive bugs, and to grow. So it stands to reason that spending time outdoors and even owning a dog is good for our health! Dogs run and roll in the dirt, and they bring bacteria from the outside world into our homes. Surprised? Research shows that kids who grow up with a dog grow up with a stronger autoimmune system. They develop less asthma and allergies. So get outside and plant a garden, take a hike, toss a ball to your dog, and don’t be afraid to get some dirt under those fingernails. Take a daily probiotic supplement: I recently discovered Phillips’® Colon Health® Probiotic Capsules, which I’ve been taking daily. It provides a 4-in-1 Symptom Defense against occasional gas, bloating, constipation, and diarrhea. 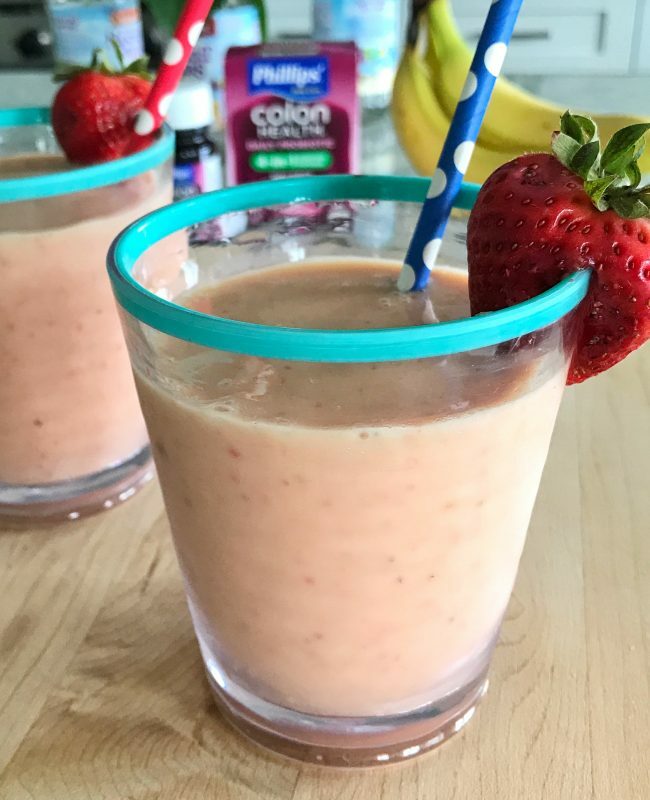 Taking a daily probiotic supplement like Phillips’ helps to replenish the good bacteria in your colon, and in turn, it helps to support overall digestive health and immune health. 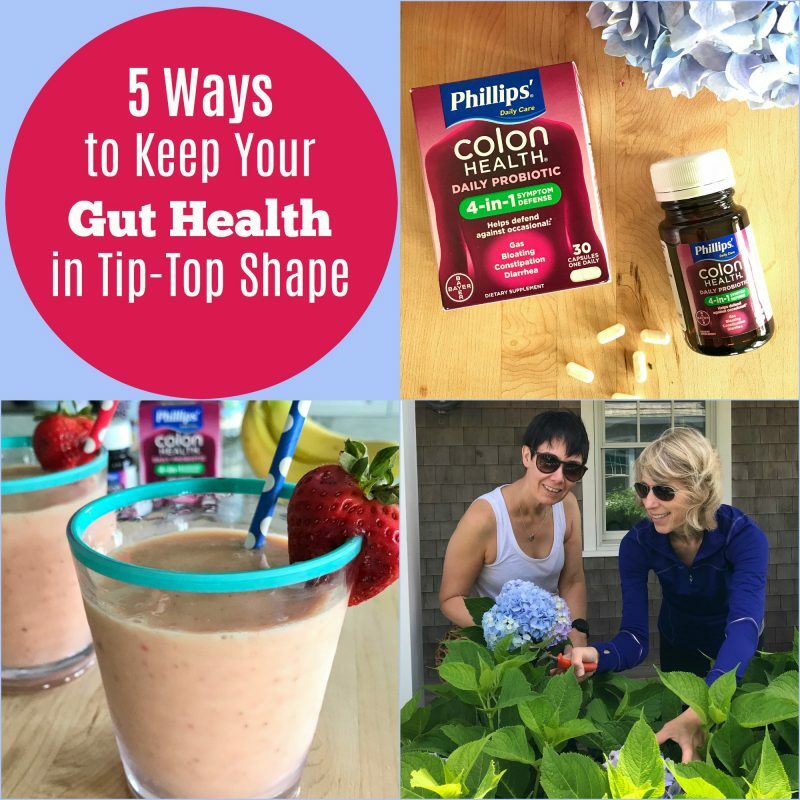 Taking Phillips’® Colon Health® is a smart option for men and women 35 years and older who may be experiencing age-related GI or digestive issues and/or people like me who want to be proactive about keeping their gut health in tip-top condition. I’ve added one capsule a day to my regular supplement regime. Unlike other probiotic supplements, you don’t have to store the bottle in the fridge. Keep the bottle on your kitchen or bathroom counter as a reminder to take one capsule every day. 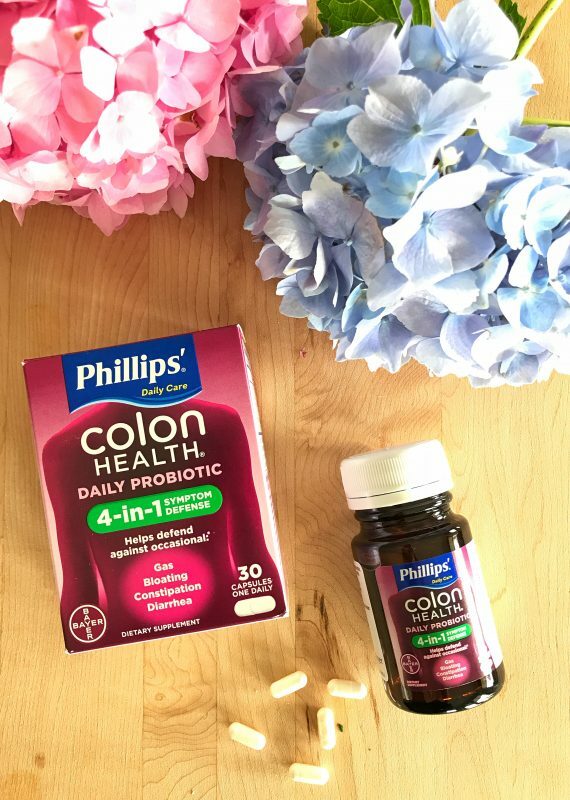 If you’re curious to try Phillips’® Colon Health®, you can get a $2 off coupon here. 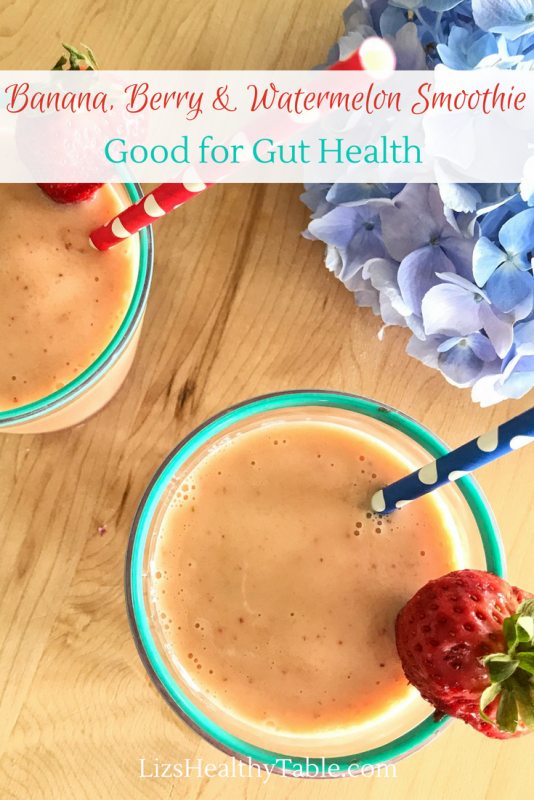 To put these 5 gut health tips, try my Banana, Berry & Watermelon Smoothie. The Greek yogurt that I call for in this easy recipe is a probiotic and the banana is a known prebiotic. 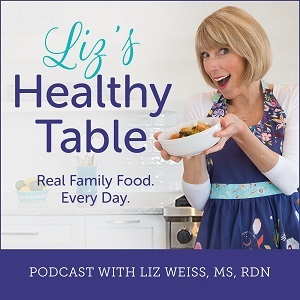 I love the idea of eating a diet rich in both probiotics and prebiotics. 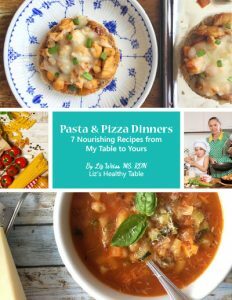 This recipe provides both, and it's so easy, you can make it for breakfast or an afternoon snack. 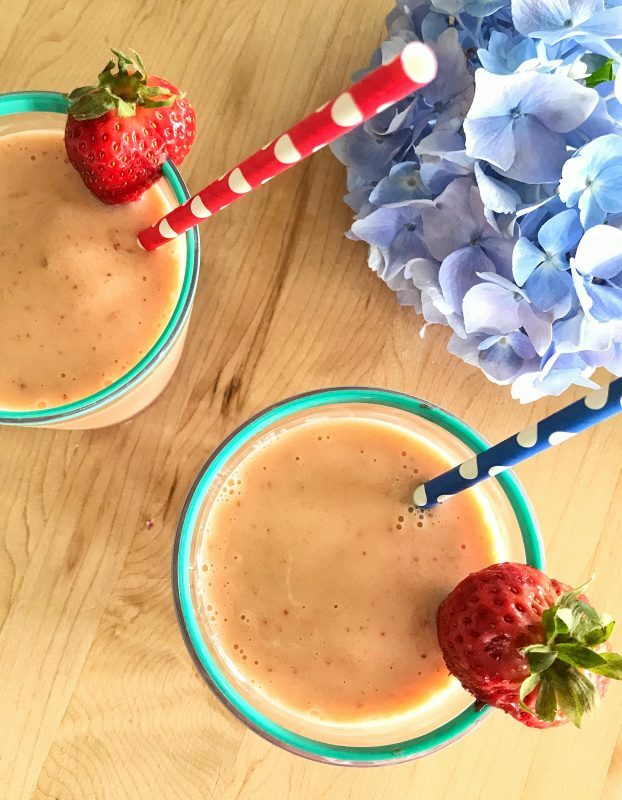 Place the juice, yogurt, banana, watermelon and strawberries in a blender and blend until well combined. Pour into two glasses and serve with a paper straw. 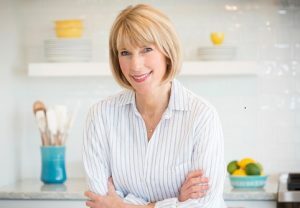 Don’t forget to click here for $2.00 off Phillips’® Colon Health®. In the comments, tell me what you do every day to keep your GI system in tip-top shape.